We are devoted to working with our customers to understand their need for our product and create an approach that accomplishes the goals of their business. With our wide range of industry knowledge, we will dive deep and use a team approach to accomplish all of our customer’s needs. We believe in the value of the product that we design and manufacture. The beginnings of the down-hole industry started in the 1960s, when Ake Ronnkvist began manufacturing drill rods. After many years owning and operating the manufacturing plant, Tom Ronnkvist took over as the second generation manufacturer of quality in-hole tools. 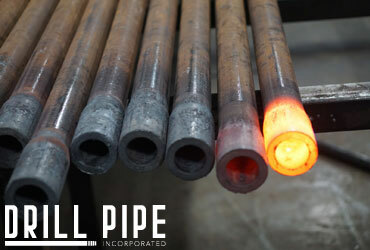 Drill Pipe Inc. is a full-service manufacturing company that not only manufactures the highest quality in-hole tools, but strives to be a partner in our customers operation. We deliver on our promise and provide the superior knowledge across industries that maximize efficiency for our customers. 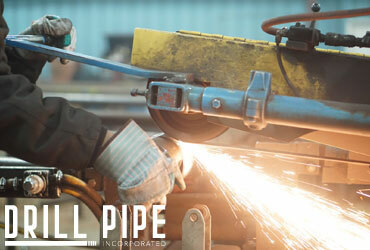 Drill Pipe Inc. ensures the success of our customers, along with the product that is being sold. This industry is our bread and butter. We utilize the most modern technology, equipment, and processes to produce the highest quality supplies on the market. We are aware of the tough drilling conditions that our constructions customers face each day. 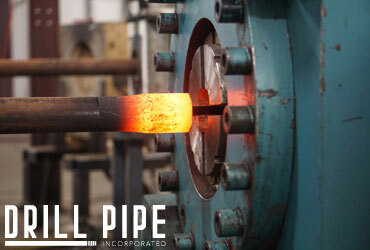 That being said, our drill pipe can withstand the most grueling environments to keep our customers on schedule. In the mining industry, our customers often face unfriendly drilling conditions. To help our customers, each tooling range we offer is designed and equipped for its specific application. The overburden and top of bedrock is the region of the earth’s strata that represents the toughest conditions for drilling tools. Because of that, we provide quality in-hole tools that withstand each environment. We are the first company in the USA to manufacture a complete line of Sonic In-Hole tools. We have worked with the sonic community to drive innovation with marked improvements in tooling performance and longevity. Drill Pipe Inc.’s helical anchor design has proven to with stain the highest weight capacity in the industry. Find out about how our anchors can be used as a strong, durable, cost effective, quick installation deep foundation system!